Will Jurgen Klopp inspire his Liverpool team when they take on Southampton? Liverpool can go top of the Premier League when they host Southampton. Opta weighs up the odds. "Liverpool have kept a clean sheet in each of their last four Premier League games against Southampton – the Reds’ longest current run in the competition." They are [1.87] to win to nil. Southampton have won just three of their 19 Premier League visits to Anfield (W3 D6 L10). The draw is [7.6]. Liverpool have kept a clean sheet in each of their last four Premier League games against Southampton - the Reds' longest current run in the competition. They are [1.87] to win to nil. 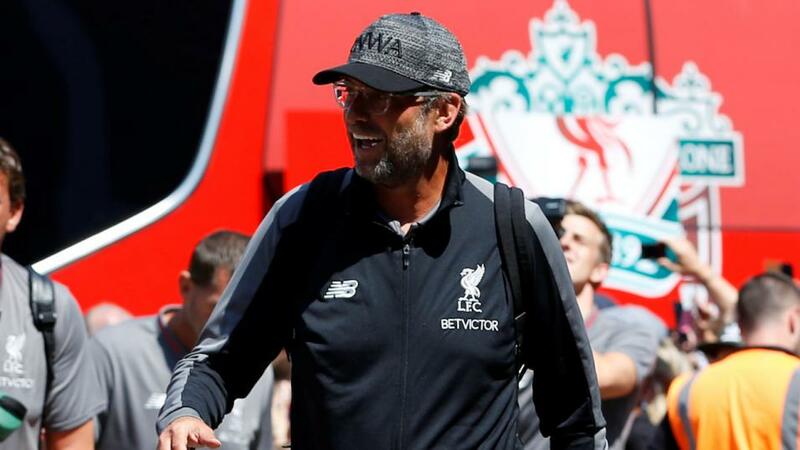 Liverpool are looking to start to top-flight campaign with six consecutive wins for the third time in their history, after 1978-79 (finished 1st) and 1990-91 (finished 2nd). They are [1.22] to win. Liverpool are unbeaten in their last 23 Premier League games at Anfield (W15 D8), their best run in the competition since August 2009 (31 games). The draw half-time/Liverpool full-time double result is [4.6]. Liverpool have kept a clean sheet in each of their last seven Premier League home games; only twice have they had a better run in the competition (9 in February 2007 and 8 in January 2006). Under 2.5 goals is [2.68]. Since the start of last season, Southampton have dropped more points from winning positions than any other current Premier League side (26). The Southampton half-time/Liverpool full-time double result is [29.0]. Liverpool's Sadio Mané has scored 48 Premier League goals and could become the seventh African player to reach 50 in the competition (Efan Ekoku, Yakubu, Kanu, Didier Drogba, Emmanuel Adebayor and Yaya Touré). Mane is [2.2] to score. Mohamed Salah was directly involved in four of Liverpool's five Premier League goals against Southampton last season, netting twice at Anfield and both scoring and assisting at St Mary's. Salah is [1.65] to find the net.